Dassault Systemes acquired Next Limit Dynamics, makers of the XFlow Lattice Boltzmann CFD solver. Tecplot RS 2016 R2 was released for visualization of reservoir simulation results and includes many new capabilities including a debugger for macros. See image below. I would be interested in seeing Tecplot RS used to visualize the results of Saudi Aramco’s 1 trillion cell simulation. RhinoCFD Beta 2 from CHAM was released with cylindrical-polar meshes and more. CHAM is also seeking to hire a software developer for RhinoCFD in their London office. Concepts NREC announced the release of its Agile Engineering Design System version 8.5 for turbomachinery. Autodesk’s Project Calrissian for CFD has extended their technology preview through 06 March 2017. CFD Support has packaged up v16.10 of OpenFOAM for Windows and Linux and announced a new release of CFturbo. 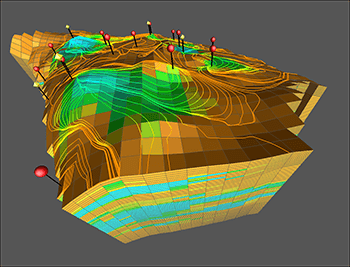 Visualization of a reservoir simulation from Tecplot RS. Image from Tecplot. See link above. Part 2 of what appears to be a 3-part review of this year’s SC16 (aka supercomputing) event focuses on the lack of diversity in the HPC field, esp. the lack of female participation. ANSYS’ simulation software will now be available via Rescale‘s cloud-based platform. CD-adapco simulated the aerodynamic performance of the Millennium Falcon. [I‘m fairly certain that radar dish is coming off unless the brackets are made from Unobtanium.] Click image for this [nicely done] article. That partnership is also mentioned in Monica Schnitger’s look at ESI’s Q3 financial results including a forecast of €141 million revenue for the year. Alert reader Kevin shared Autodesk Simluation’s photo of 3-D printed streamlines. CONSELF introduced “pay per use” cloud-based CFD. In case you missed it, the Wall Street Journal ran an story on bio-inspired aeroacoustics. Envenio shared a simulation of HVAC in an aircraft hangar. 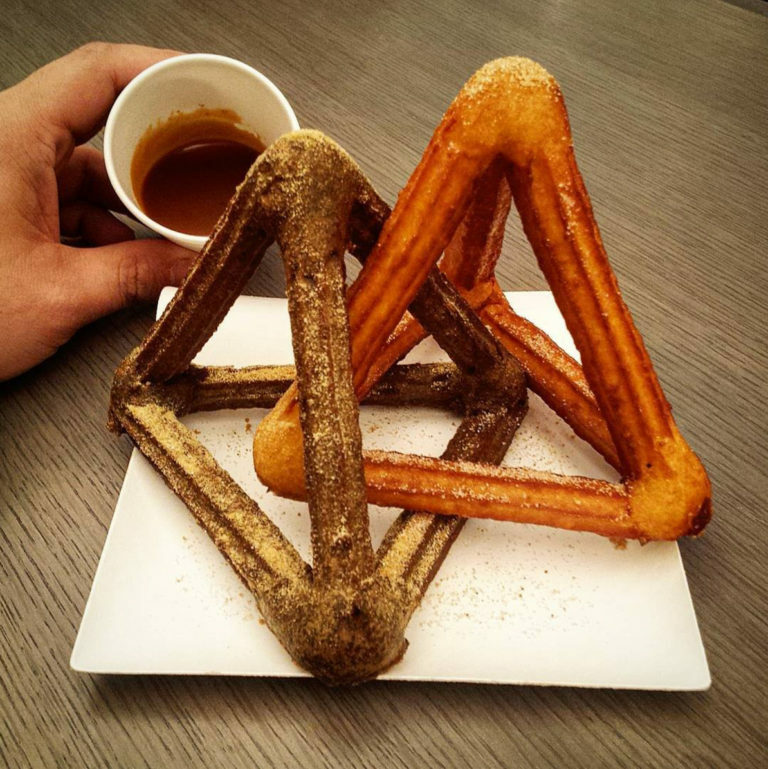 What do you get when you combine two tetrahedra with churros? Something absolutely amazeballs called a churroduo from Dominique Ansel’s Tokyo bakery. I urge readers in Tokyo to rush out and taste a churroduo and report back on the experience. Churro + tetrahedra = churroduo. [Or may I suggest churrohedra?]. Image from That’s Nerdalicious. See link above. Bonus: Making art with Python. Click the link to see the art and the animations. A Python animation inspired by Arabesques: mosaiques murales. Image from Software Carpentry. Click image for link. This entry was posted in Applications, Hardware, News, Software and tagged ANSYS, Autodesk, CD-adapco, CFD Support, CFTurbo, CHAM, Concepts NREC, ConSelf, Dassault Systemes, Envenio, ESI, EXN/Aero, jobs, Pointwise, Project Calrissian, Rescale, RhinoCFD, Tecplot RS, XFlow. Bookmark the permalink.